Nothing suspicious about these guys! The Pokemon Center added a whole bunch of Ditto plushies this week! 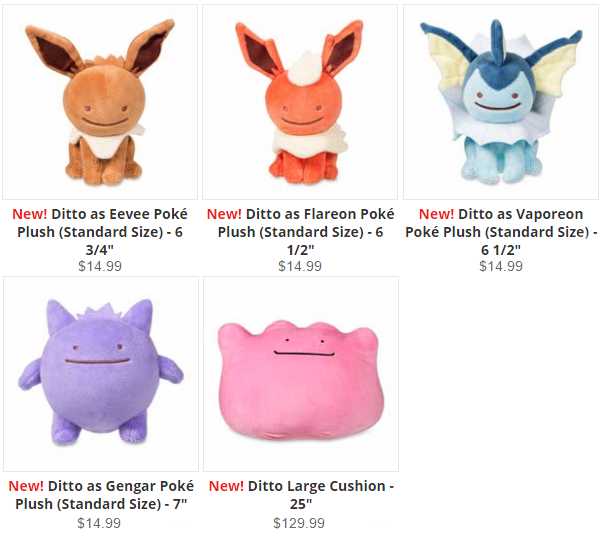 Including the gigantic Ditto cushion! 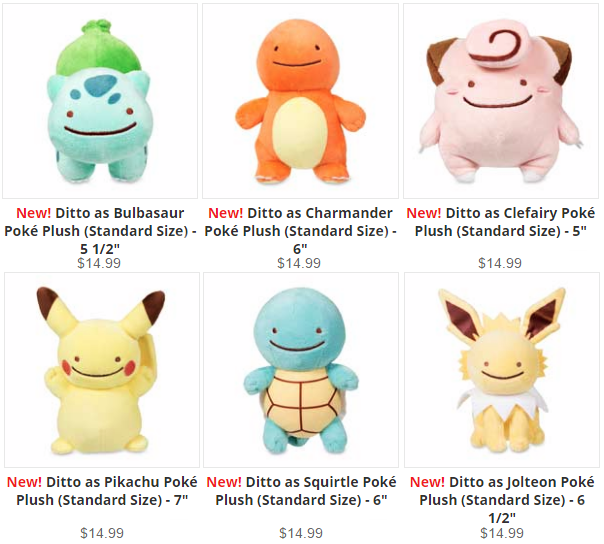 Mascot versions of all the Ditto plushies were added as well.